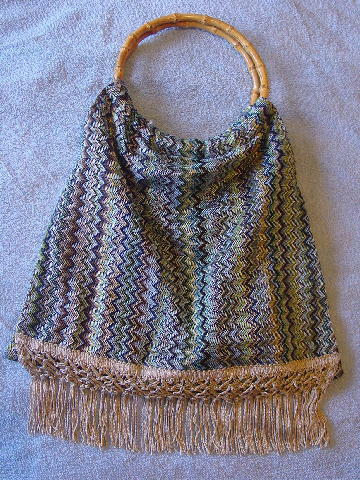 This custom-made fabric purse has two bamboo circular handles. 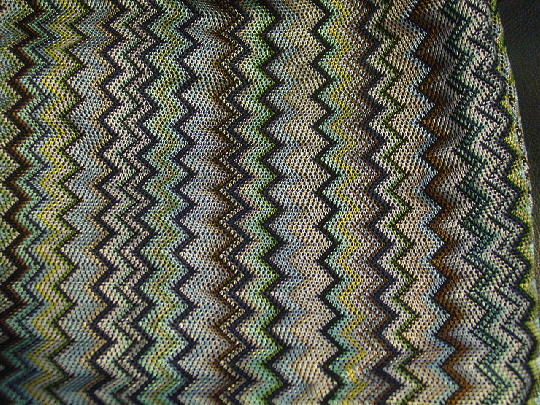 The fabric has a Missoni-esque design pattern in brown, black, blues, pale apricot, pink, yellow, and silver. 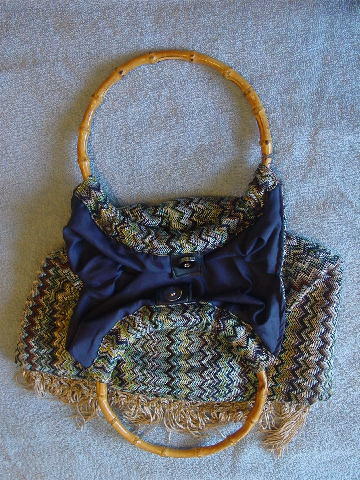 It has a dark blue (probably polyester) fabric lining and a magnetic silver-tone closure. 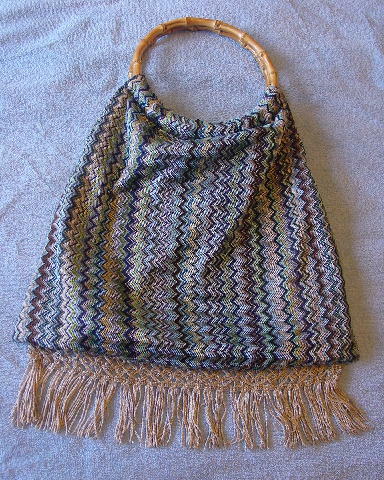 The front bottom side has a 4" long woven and fringe accent in a sandy-beige. A South American model had it made for her. handle inner diameter 6 1/4"